The concept of Gurbani emanating from the Creator is quintessential to Sikhi. We revere and venerate Gurbani because it is Guru’s word or the Shabad Guru. Another possible interpretation of Gurbani buneay is that buneay refers to Sat Swaroop underscoring that Gurbani enables an individual to become the embodiment of Truth. You are me, and I am You, what is the difference? The Guru wants us to be immersed in Gurbani so deeply and completely that we are transformed into its very essence. 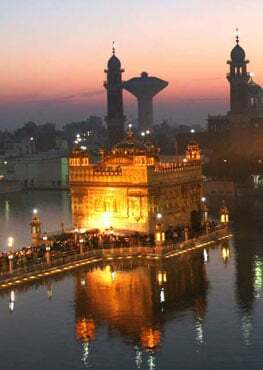 It is not enough to listen to Gurbani with rapt attention, or be moved to tears by its beauty and expansiveness, or sing it joyfully with our heart and soul immersed in it, or attempt to understand it in all its depth. We have to live the essence of Gurbani. Discussions and dialogues are great tools to stimulate our interest but they are not enough. We have to walk the razor sharp course Gurbani lays out, give wings to our aspirations, stay constantly tuned to its powerful guidance and practice its teachings with dedication. Aristotle, the Greek philosopher said; “We are what we repeatedly do. Excellence, then, is not an act, but a habit.” The synchronicity that trained soldiers display during a formal march-past is amazing. It probably takes hours of daily practice over several years to create the image of oneness. Similarly, a dancer melts into the dance and becomes poetry in motion after many years of consistent practice. To train the mind to live in perfect accord with Gurbani is an undertaking that is far greater than mastering the movement of the body. It requires perseverance, commitment, and a single-mindedness of purpose that is beyond any physical discipline. We have to engage with Gurbani in the most personal and profound manner, awaken to its insights and let our choices be guided by its principles. When Gurbani permeates our very breath, and becomes the pulse of our life, our thoughts and actions shall mirror its beauty and purity. This is a monumental task and requires constant vigilance. 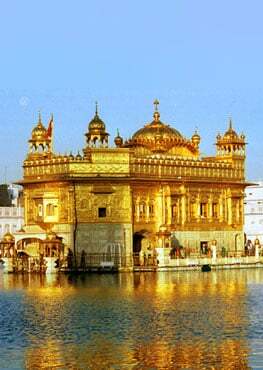 Ultimately though, it is only through the Grace of Waheguru that such a transformation takes place. There are temptations and pitfalls along the way. The false glitter of the world ensnares us. Egos create walls. Resolutions weaken. Good intentions break down. Through the peaks and valleys of our life Gurbani illumines our way. Its guidance saves us from temptations, teaches us humility and surrender. Like the beam of a laser, Gurbani cuts through our outer surface. The true essence is revealed. It is the work of a lifetime, rather several lifetimes to “become” Gurbani or “Sat Swaroop. About Jessi Kaur: Jessi Kaur is the author of Dear Takuya, Letters of a Sikh boy, and The Royal Falcon, two highly acclaimed children’s books.